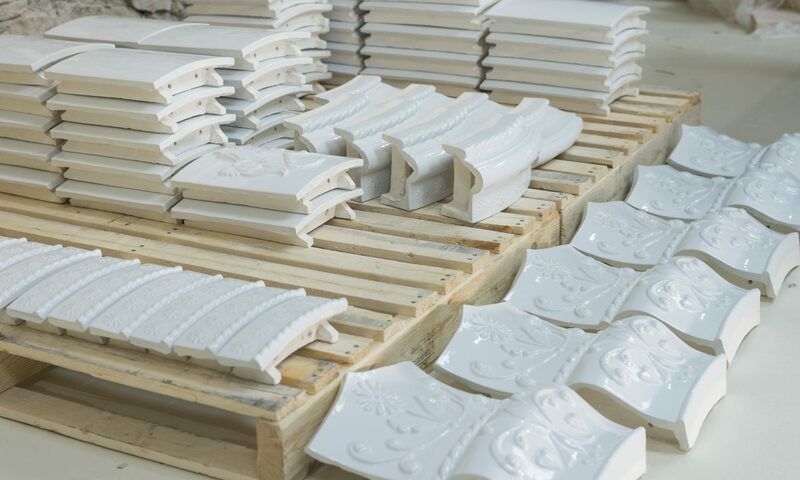 Jessica Steinhäuser is an award–winning Canadian ceramic artist who works on a grand scale, breathing new life into the ancient tradition of kachelöfen. Jessica was raised in Germany. She decided early in life to work with her hands, and chose pottery as her medium. She is a graduate of the State School for Art and Design in Nürnberg, and earned her Graduate Journeyman Potter certification from the State School for Ceramics in Landshut. Jessica immigrated to Canada at age 22, establishing Stonehouse Pottery in downtown Guelph in 1989. In the early years, she made exquisite ceramic vessels, whimsical teapots and intricate ceramic mosaics. She founded the Guelph Potters Market in 2005, which has become an annual event. All the while Jessica dreamt of working towards a vastly more ambitious artistic goal: she wanted to popularize the kachelofen in North America. 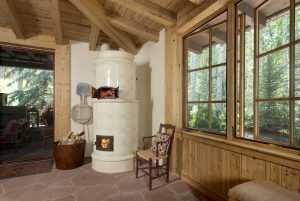 Jessica created her first kachelofen in 2008. Her designs merge functionality with artistry. Vibrant colour, sophisticated lines, and an understanding of architectural context are the hallmarks of her work. 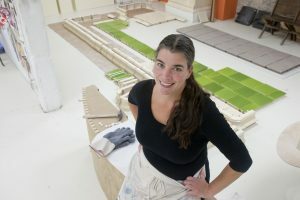 Jessica’s work has been featured in The Globe & Mail, Fusion Magazine, Ceramics Monthly, Dwell.com and Grand Magazine. She has been the focus of articles in Japan, Poland, Czech Republic, Austria and the United States. In 2014, Jessica exhibited three kachelöfen in a solo show at the Canadian Clay and Glass Gallery, supported by funding from the Canada Council for the Arts and the Ontario Arts Council. In 2016, she was honoured with a Lifetime Achievement Award in the Trades and Labour category by Women of Distinction. She was also recognized with a special Craft Ontario Volunteer Committee 40th Anniversary Award. Jessica teaches and lectures widely. She has been a faculty member at the Haliburton School of the Arts since 2007. She has also given lectures and presentations around the world. 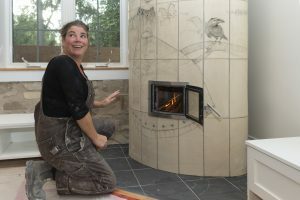 In 2019 Jessica officially changed her business name in recognition of her 30th anniversary from Stonehouse Pottery to Stone House Kachelöfen. Jessica has several active projects at various stages of completion. Jessica lives in Guelph, Canada.